These start-up kits for beta testers include a pen with stylus and simple screen shots! It’s Volunteer Month and Passport for Good is Testing! April is National Volunteer Month, a time when we, say “thanks” to the more than 62 million Americans – a quarter of the adult population – who give nearly 8 billion hours a year to the causes close to their hearts. It is a time to reflect on how we can give back, and how this experience impacts us for the better. Did you know that volunteering is good for your health? People who volunteer are 42% more likely to be “very happy” than people who don’t volunteer. We gain new experiences, connect to people and causes, and become more compassionate. Volunteering creates opportunities to share our talents, learn new skills, explore careers and pathways to leadership. Volunteers have 27% higher odds of finding a job after being out of work than non-volunteers, possibly due to developing new skills and expanding personal networks. Students, scout troops, senior citizens, corporate and other community volunteers contribute critically needed resources for organizations at an estimated value of nearly $184 billion. The challenge is that volunteers and organizations find this value difficult to track, and the impact is routinely lost or underreported! 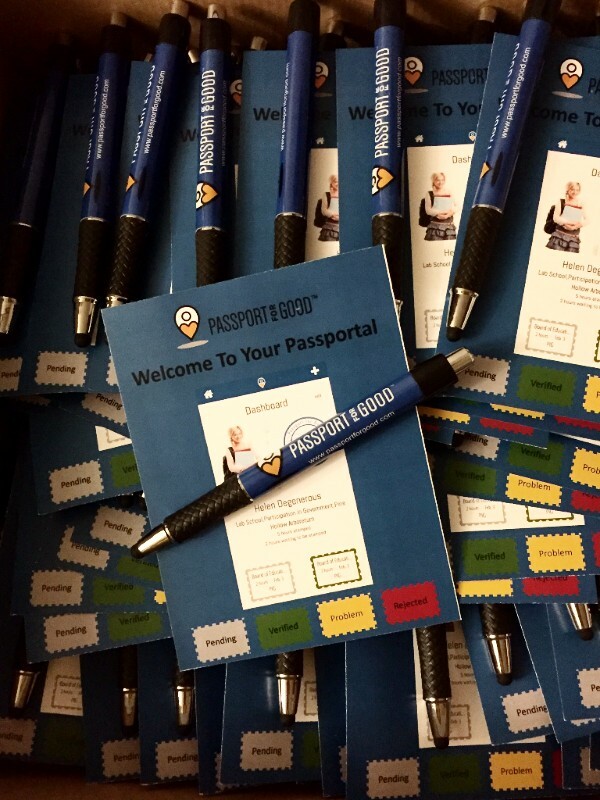 We are excited to inform you that Passport for Good has begun to test its software! Beta testing began in March 2016 with Bethlehem Central School District, the number one rated public school in 2015 by the Albany Business Review with a student population of 4,670 students. More than 100 volunteer users, more than a dozen school administrators and student officers, community-based non-profits, faith based organizations, and families are involved in the testing. Students and faculty are excited , and we look forward to learning more about the user experience, navigation, and desired features in our first release. Volunteers… thank you for inspiring us every day in our work, and for making a measurable difference!